Today on Cake Slice Tuesday, it’s fruit pie for the everywoman! I love making pies, but they can seem intimidating. They have multiple levels of flavors and textures, multiple steps, and it is fairly easy to mess up the complicated ones. However, while in college I discovered that with a little ingenuity you can make a yummy fruit pie in less than an hour without even looking at a recipe. (Ok so maybe this is could count as a recipe, but just stay with me). Crust is super important, and if you want to make it on your own be my guest, but if you haven’t done it before it could get a little tricky. Here is a recipe from Good Housekeeping that I have used, though I didn’t have a food processor and I replaced the shortening for more butter. The benefit to homemade crust is that you probably already have all the ingredients you need (flour, butter, sugar) and it will taste better. The downside is the time and the unpredictability. If you go with store-bought crust that is a-ok. What I also like is store-bought crust mix, which is a nice middle ground. Once you have your crust, place one round in a pie pan. If you don’t have a pan pan, you can make small tarts with a cupcake pan by using a large drinking glass as a cutter for the crust. 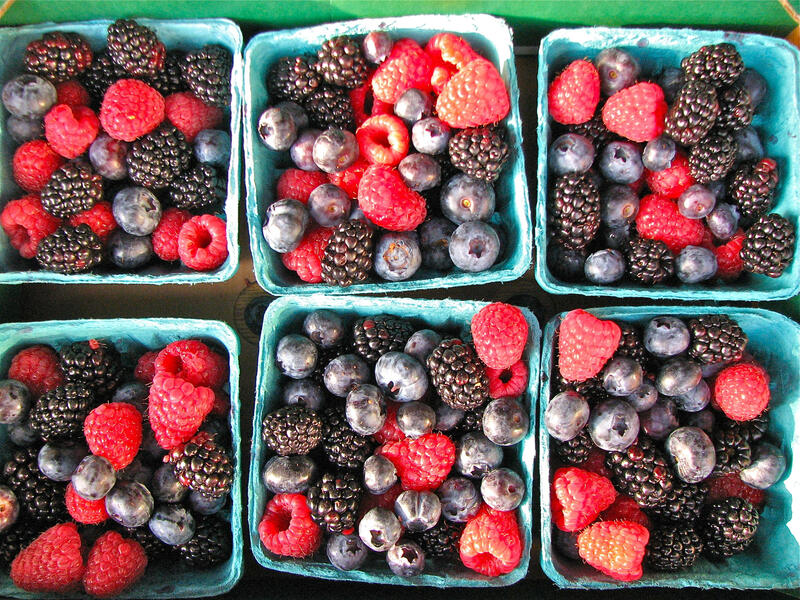 Go to the grocery store and buy fruit that you like. Fresh berries work the best, but experiment, this is pie! It probably won’t taste altogether bad, and since we’re on a budget and a time crunch, pick the fruit that is right for you. You can go frozen, but if you do you have to completely thaw and then drain the fruit or it will have too much moisture for your pie. You’ll want about 4-5 cups total (you may have leftovers but that’s better than having not enough). Throw the fruit into a large bowl. Add tons of sugar. Drown the fruit in sugar. Have a sugar party with some fruit thrown in. Basically add as much sugar as you feel comfortable adding, to taste. Add spices. Whatever spices you think go with your fruit. I think cinnamon is a must for any fruit pie, but just start experimenting with the spice rack. There is no wrong answer. Stir this and let it sit for at least 15 minutes, so the sugar and juices from the berries blend nicely. If it seems really soupy, add a dash of flour. When it looks like a filling, pour it into the crust you have ready. Then, and this is important, take some cold butter pats and place them on the top of the pie, about five to seven evenly spread. This will give it a nice glossy finish and smooth texture. So now you have pie crust left to add as a top to the pie. You can totally just put this over your pie, make a few slits for steam and call it a day, but this YOUR PIE. Show the world that it’s yours and only yours. 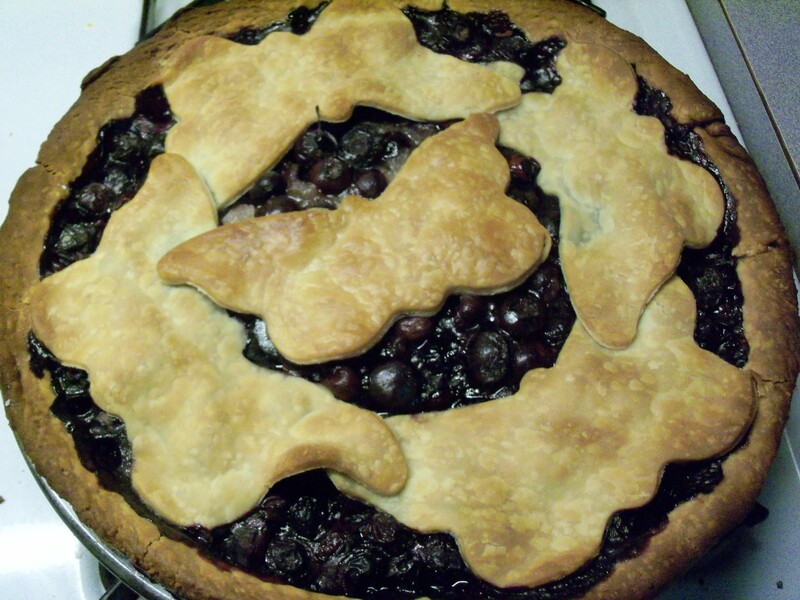 Only you could have made this pie, so use the top to make it unique. Here are some pie top ideas. Whatever you choose, make sure there is space for the pie to vent. Now, brush it with a little melted butter, put the whole thing on a cookie sheet so that you get a mess in your oven (I learned this the hard way), and into the oven it goes! Bake the pie at about 350-375 for 30 minutes to start. Since we are winging it, this is probably the least clear part of all the instructions. When the pie is done, the crust should be just browning and the filling bubbling. If you cook it too hot and too fast, the crust will burn without the pie getting fully cooked. You can also add tinfoil to the edges of the pie to help prevent burning. And that’s it! Bonus points if you write down what you do and use this recipe again and again and tell your grandchildren that it’s a family secret.